The United Church of Canada was formed in 1925 from the union of most Congregationalist, Methodist, and Presbyterian churches. Of the hundreds of churches inherited by the new Church, most were modest structures. Pointed windows and occasionally a small bell tower identified their spiritual purpose. 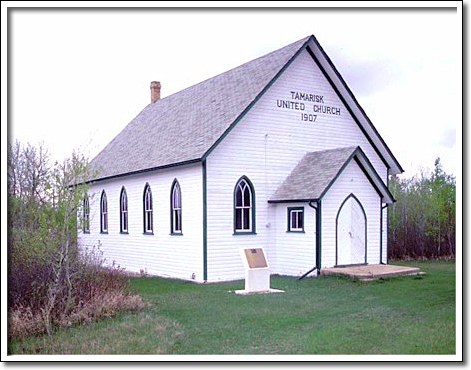 Originally a Methodist church when it was built in 1907, Tamarisk United is one of the best examples in Manitoba of those many humble buildings. Tamarisk's straightforward external character expresses the unpretentious theological nature of Methodism. Unpainted woodwork in the interior creates a warm, welcoming glow.